Buy Cheapest VW Beetle Diesel Engines, Upto 50% Off Now! Garage 777 is the largest seller of top quality replacement VW Beetle Diesel engines in the UK. Our inventory is regularly updated and has high quality second hand and remanufactured engines at the cheapest online rates. All of the units go through stringent checks in our state of the art workshop in order to give our customers maximum value for your money. Why buy VW Beetle Diesel engines from us? 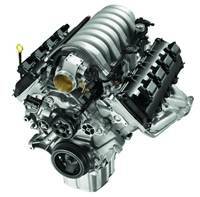 We provide affordable yet best quality VW Beetle Diesel engines for at the lowest rates on the net. In these tough economic times many people are opting to go for a replacement engine as the cost of a brand new engine is high so why not get your VW Beetle Diesel engine from the engine experts at Garage 777 and avoid any hassle and save lots of money and precious time. We also offer vehicle recovery service and have state of the art workshop. Our fully trained and well experienced staff offer professional engine fitting service so you don’t ave to worry about a thing. So get in touch now for no obligation free quotes with free warranty and nationwide delivery.